Are you ready to plant cool weather vegetables? 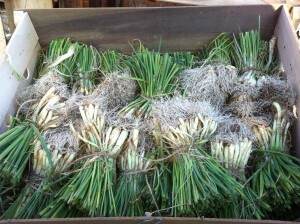 Our onion sets, seed potatoes and bulk vegetable seeds have arrived! Onion sets are $1.50 and potatoes are $.95/pound. It’s time to get these in the ground! We have fresh bulk seeds in stock now and ready to go in the ground. Sow cool season vegetable seeds directly into well prepared garden rows. Cabbage, cauliflower, broccoli, kale and potatoes should be planted 4 weeks before the last average frost date (around March 14th in the DFW Metroplex). Remember to cover tender vegetation with frost cloth to protect against freeze damage. Stop by Mansfield Feed Mill in Mansfield, TX to stock up on cool weather vegetables this season and all your gardening needs. This entry was posted on Saturday, January 26th, 2019 at 2:38 pm	and is filed under News & Updates. You can follow any responses to this entry through the RSS 2.0 feed. Both comments and pings are currently closed.